This post will deal with the in-depth explanation on how to close apps in iPhone X.
iPhone X is a unique model, having features different than other iPhone models. It is difficult to handle, but not impossible. Closing apps in iPhone X is generally done by pressing the home button. 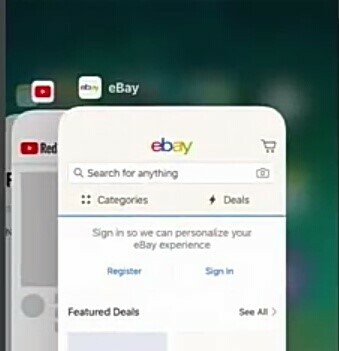 This cannot be done in iPhone X because of the absence of the home button. The apps are actually not open, but on a standby mode for the user’s efficient multitasking. Closing the app with the help of the method given below and then reopening can solve the problem. 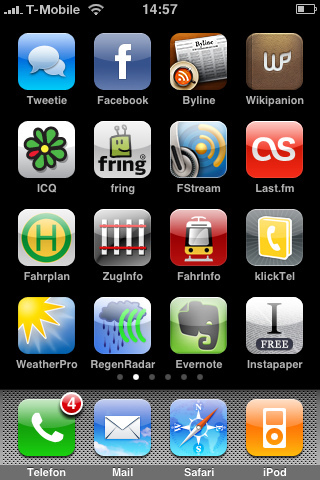 It is a misconception that keeping the apps on standby can drain the phone’s energy. Instead opening an app write from the start can utilize greater energy. So, to close apps in iphone X a different method has to be adapted. This method is very simple and easy to apply. We need to slide our finger from bottom in upward direction and pause for a while. The finger has to slide covering only half of the screen. More emphasis has to be given at the bottom or the starting point. This will establish the ios multitasking or the app switcher. Open apps appear. 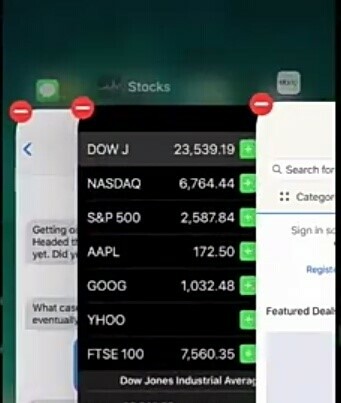 All the apps that are already open appear on the screen in a sequence. The last opened app will appear first in the row. Swipe left or right to choose the app that needs to be closed. Just sliding the open windows in upward direction won’t help in the case of iphone X. It will return on the home screen. Tapping and Holding the window for a while will make a red circle with a minus sign appear on the top left corner of the window. Tapping on the red circle icon will result in closing or quitting of the respective app. Tap anywhere outside the app window to get out of the closing zone. Swiping up the window in the presence of the red minus icon can also be a method. Hope all the steps mentioned above helped you to close the apps in iPhone X.